Belvidere native Jack Seger loves to jump. He’ll compete in the Special Olympics track and field meet at Harlem High School May 2, where he specializes in the long jump event. In the upcoming meet at Harlem, athletes choose one track event and one field event in which to participate. 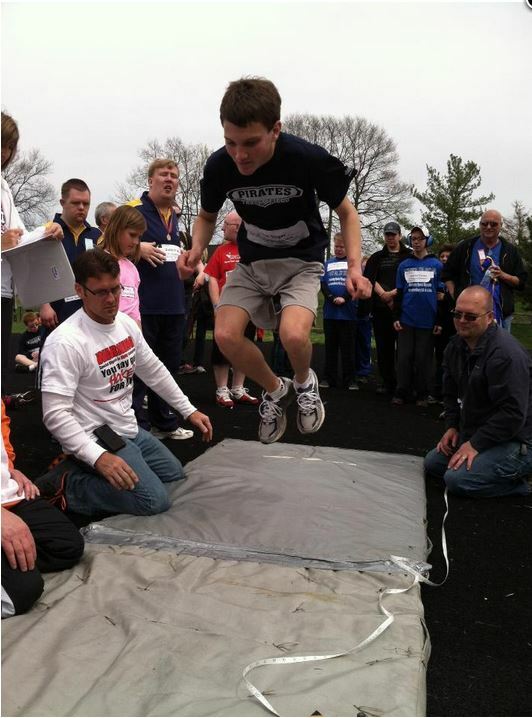 “With his ability to jump, the long jump just seemed like a natural choice for him,” Jack’s mom, Lisa Seger, said. Jack is autistic and has competed in the track and field Special Olympics for seven years. He’s been to the state summer games in Normal four times. Participating in track and field helps Jack connect with other teenagers. Track and field is a family thing for the Segers. 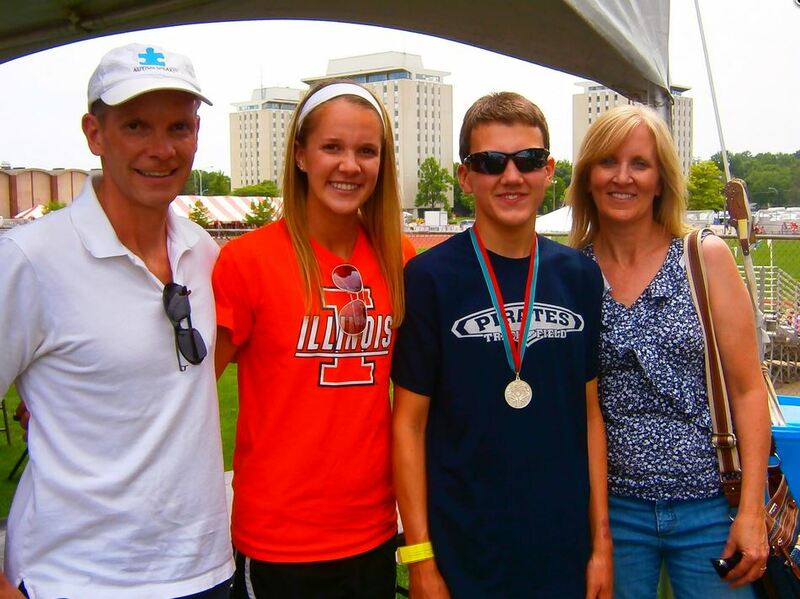 Jack’s sister Kim runs track and cross country at the University of Illinois. Jack is always supporting his big sister. He tries to emulate her speed. “[She’s] very fast,” Jack said with admiration. Kim is just as supportive of Jack’s track endeavors. That bond is something mom loves to see. Jack is set to compete May 2, in the big Special Olympics track and field meet at Harlem High School. He’ll let his jumping ability do the talking.